We design and manufacture efficient casting cooling systems, industrial cooling systems. These are extensively used in a host of industries where cooling for castings is a necessary process to achieve more productivity. 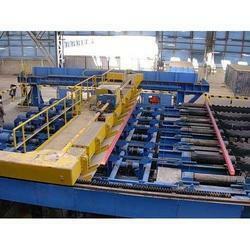 We offer highly effective casting cooling system that is capable to be utilized in foundries. We offer to customize these systems as per the requirements detailed by the clients, so as to deliver optimum output at the foundries. Looking for Casting Cooling Systems ?